Kars city was a destination on my north to east tour of Turkey. Before I left, I excitedly discussed my plans with two Turkish friends. I was going to spend one day in Kars with a tour group, then extend my stay on my own for three days. The mention of Kars prompted astonished looks on their faces. Now at this point, I was concerned. What did they know that I didn’t? Was Kars a center for human trafficking? Was in the back of beyond, far from civilization? Now, knowing my friends and their lack of travel experiences, I asked when they had actually visited the city. It turned out they had never been. Not even anywhere near it! So in my eyes, their concerns were unfounded but I soon discovered they were not the first Turks to think like that. Perhaps it’s the mishmash of cultural and historical identities that puts many people off Kars but this just enhanced my visit to the city. Kars has a strong connection with Russia. The Russian empire attacked Kars in 1828 and seized control from the Ottomans but it was a tug-of-war; they lost power and seized it again in 1878. After the First World War, it fell to Armenian rule, then eventually the Turkish republic. The Russians were not going to give up though and in 1945, attempted to regain Kars through peaceful dialogue. They were unsuccessful. 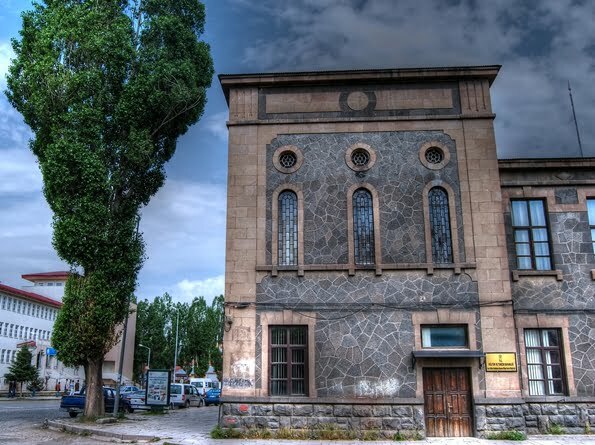 These days, the only Russian connection is seen in architecture style of old buildings, many of which now are under preservation status. 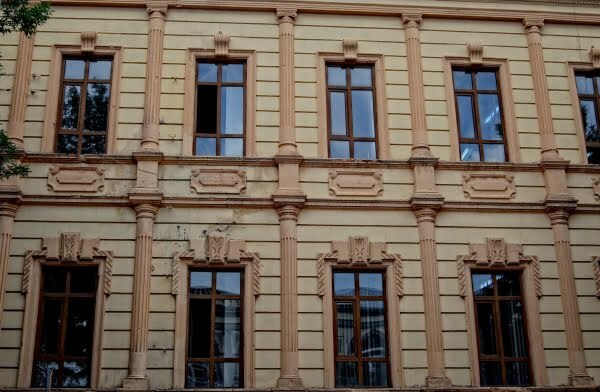 It was suggested to me that I could find out more about Russian presence in the Gazi Ahmet Muhtar Pasa house, however despite three visits to this museum, it was always closed. 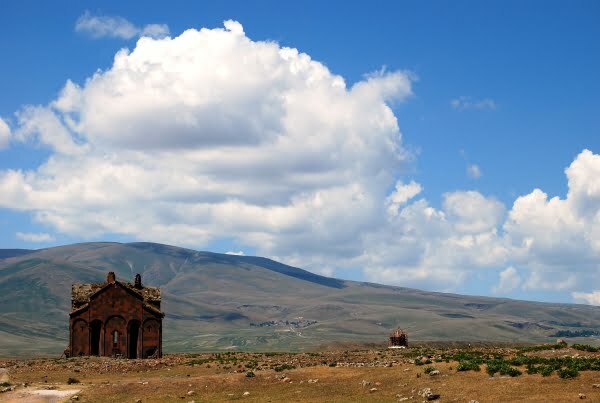 Kars is situated a small distance from the border with Armenia and is rarely mentioned in travel guides. This is a shame because it’s the nearest overnight accommodation to the historical 1001 churches. Known as the ruins of Ani, these old Armenian churches are not on the grand scale of other historical ruins like Ephesus, but they are certainly impressive. The problem is they are in the East of Turkey and most tourism promotion in Turkey is focused on the long sandy beaches of the West. There are also political issues between Turkey and Armenia that perhaps explains the lack of interest. Apart from a leachy taxi driver, the people of Kars were friendly and welcoming. The younger generations appeared positively enthusiastic and have embraced fashion trends that were evident in tight blue jeans, high heels and logo T-shirts. This was far different from the eastern conservative dress sense that I expected. There were also a small percentage of locals that stood out because of their facial appearances. Men and women displayed chiselled, clean looks with defining features and piercing eyes. Their skin was a lot lighter but perfectly suited the jet black hair that framed their faces. It was only a slight difference that first time visitors to Turkey would not pick up on however I had never seen this typical Turkish or Kurdish facial appearance before. Anyone who knows Turkey will also agree that from the west to the east, facial appearances and characteristics do change; the stereotype light coloured hair of Laz people is one example. I assumed the different facial appearance was because of the historical connections to Russia or Armenia so during a chance conversation with a local stationary shop owner; I questioned the ethnic diversity of the population of Kars. The biggest surprise was that there are many Azerbaijanis in Kars. Some just come over the border to work, while others have Azerbaijan blood in the family history. The Azerbaijan influences might not be present in history, churches or the architectural style of buildings but it does add another twist to the diversity of Kars to find out they form a large percentage of the population. I have researched the presence of Russians, Armenians, Azerbaijanis, Kurds and Turks in Kars. The result is a confusing and intertwining connection throughout a historical time-line full of conflict. These days, it is peaceful city though and I thoroughly enjoyed my time there. If anyone tells you not to go to Kars, ignore them. It is not a dark city in the back of beyond. It is culturally rich and a wonderful place to visit. Now camping there would be awesome! “Now, knowing my friends and their lack of travel experiences, I asked when they had actually visited the city. Isn’t that always the case? I wasn’t in love with Kars (except for the honey) but I wanted to camp out in the churches of Ani so bad! 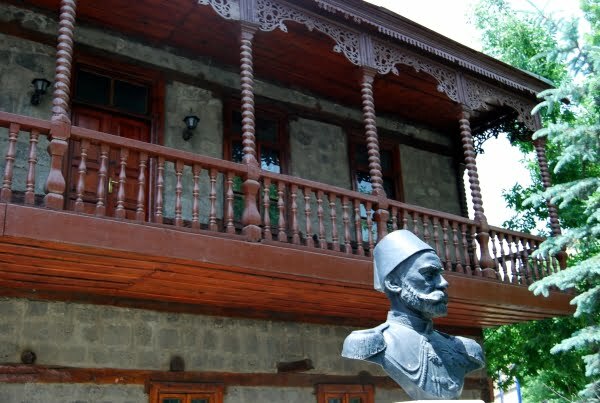 There are no Armenians living in Kars Sophie, even though they founded the city. They were all either massacred or fled 100 years ago and the Azeris have been living in their homes ever since. The strange thing though Jeremy is everyone who says not to go, has not been there! Where abouts are you teaching in the east? Great post! I was also just in Kars myself, and I was also very impressed with the whole region. I find it funny we both had a very similar reaction to telling people our plans of going to Kars – all my students eagerly advised me against going there. Although, being from the East, none of them mentioned safety concerns… They just said it was ugly. Hi Sophie, reading about the border crossing between Kars and Armenia was very confusing. Apparently it is closed and any business, travel etc has to be done via the Black sea region. There is a lot of talk though because people want it open to increase business. I found one tour that was taking people via Georgia instead. Same for the Armenian and Azerbaijan border. Very interesting and intriguing this ‘unknown’ part of Turkey. Armenians and Azerbaijani living together in the same city in peace, that bodes well for the mother countries. Also, this would be an interesting way to enter Armenia and/or Georgia – or even that odd little Azerbaijani enclave, Naxç?van. Do you know anything about the border crossings? Fairly straight-forward? I love learning about all the cultural diversity in Turkey, especially the eastern sections of the country that you just don’t hear about much. I’m glad you didn’t listen to the people who tried to keep you away, Kars sounds like a really interesting city! I really must try and make time to read the novel Ozlem. So many people have mentioned it now. I wondered when I was writing the article if you two had been there. BTW you still going Black sea in June? 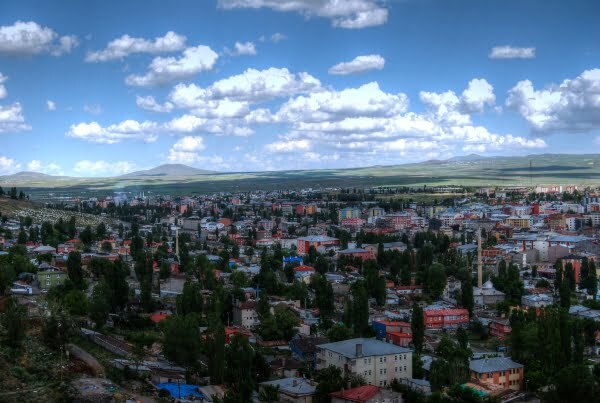 My dad used to visit Kars quite a lot for work when we lived in Elazig; used to talk about how friendly the locals are, its wide, impressive streets and the architecture – I can see it thru your photos. Of course Orhan Pamuk showcased the city with great descriptions in his novel too – would love to make it there sometime, thanks for this wonderful post. . . another excellent and informative posting Natalie. Only been to the city once and it was a bit of a scratching of the surface, J and I really need to give more time to the place on our next visit over there. Really enjoyed this one! There is a lot of reading material on the internet as well Fiona. I’ve always wanted to visit this part of Turkey and I’m hoping I can get there this summer, in fact. Your lovely photos make me want to go there even more, Natalie. Very true Jack. From the east to the west, all the cultural connections and history can get darn confusing at times! Further evidence, if it were needed, that Turkey is the true crossroads of civilisations.